Founded by previous accountant, Euan Fraser, AMO Consulting focuses on helping businesses grow and develop through franchising. A member of the British Franchise Association, as well as the QPF educational programme’s panel, Euan conducts talks around the UK, setting himself as a leading expert within the franchising community. Although the company works with clients all over the world, the corporate offices are held in Scotland, UK and the team remains small and intimate, getting to know each of their clients on a personal level. The business works closely and flexibly with clients, giving them the knowledge and expertise to start their own franchises and improve and grow their business contact networks. With over 20 years’ experience working with businesses, Euan and the AMO Consulting team assist with profitable and sustainable growth for companies with a thirteen stage process towards franchising their business. 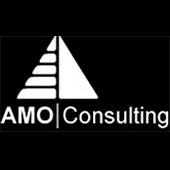 With past clients such as M&S, Danone and Michelin, AMO Consulting have established themselves as a key business figure in the industry. Service offerings from the team include six key areas; franchising business, preparing franchising health checks, which aims to improve established franchise models, international expansion for businesses, franchise partnerships for long-lasting and enduring business support and the AMO community, which helps franchisees maintain growth within their community networks.